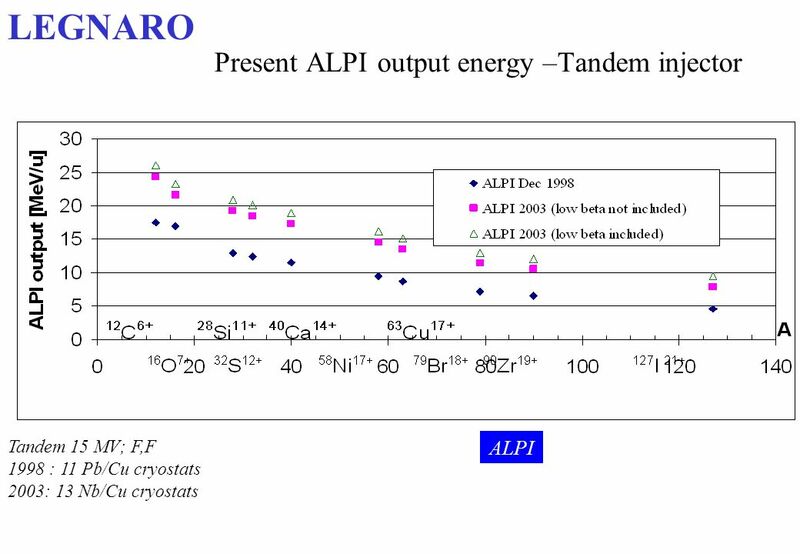 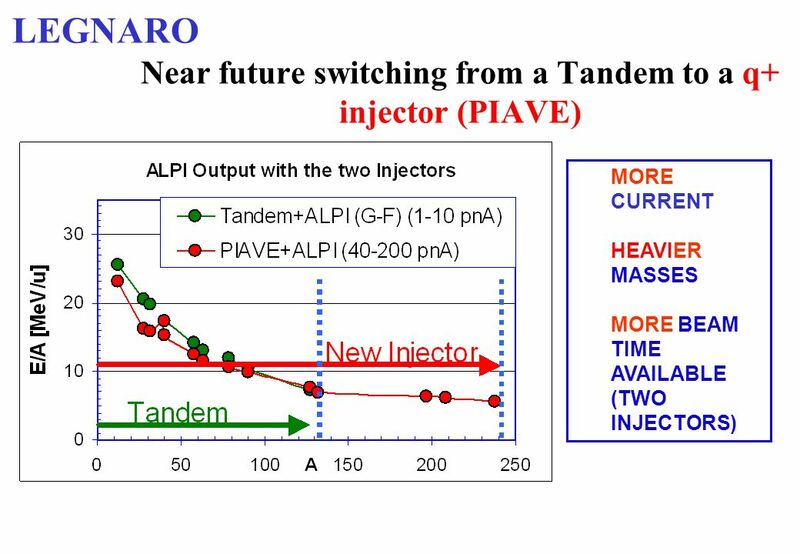 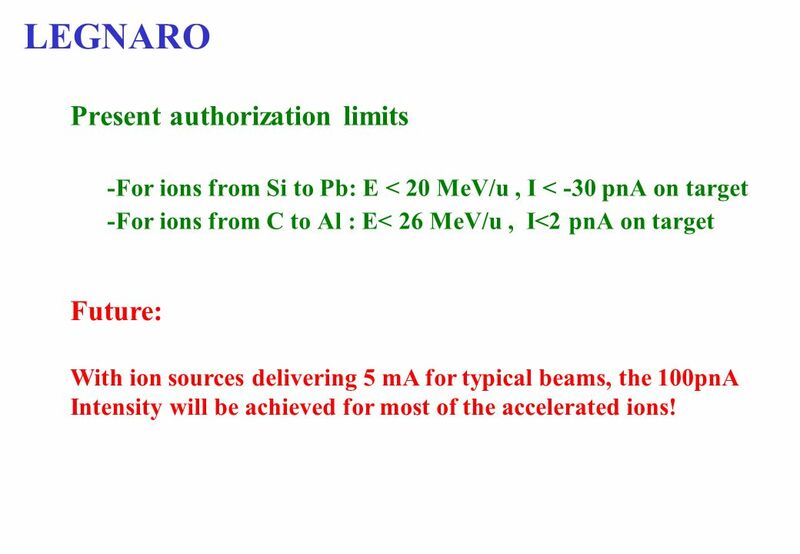 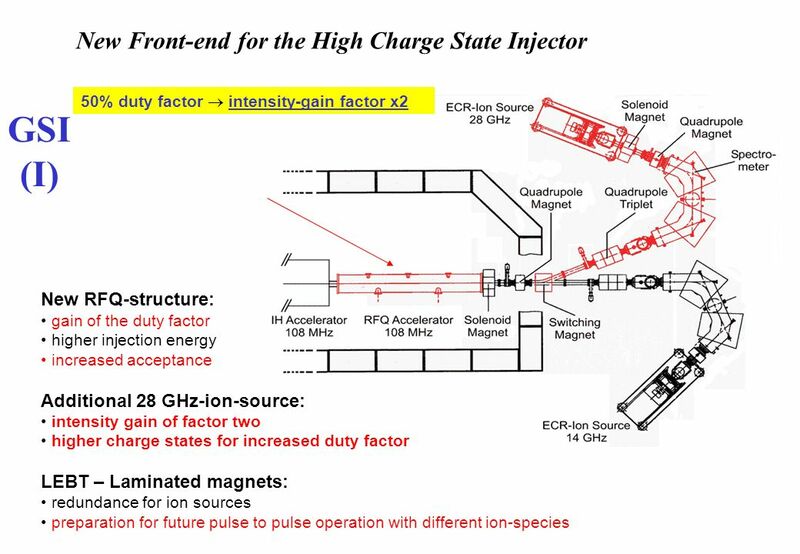 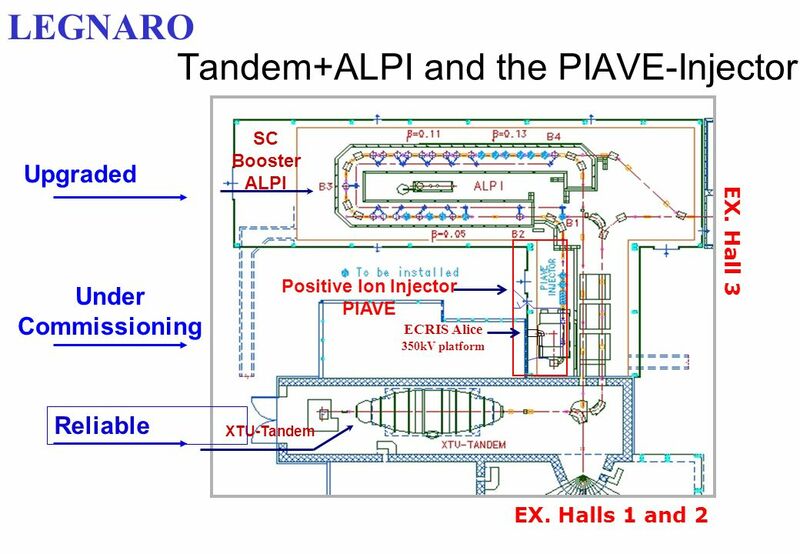 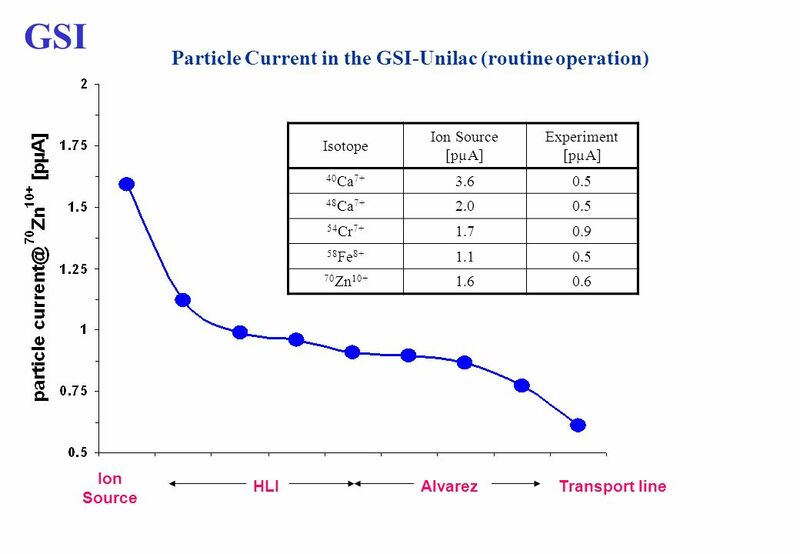 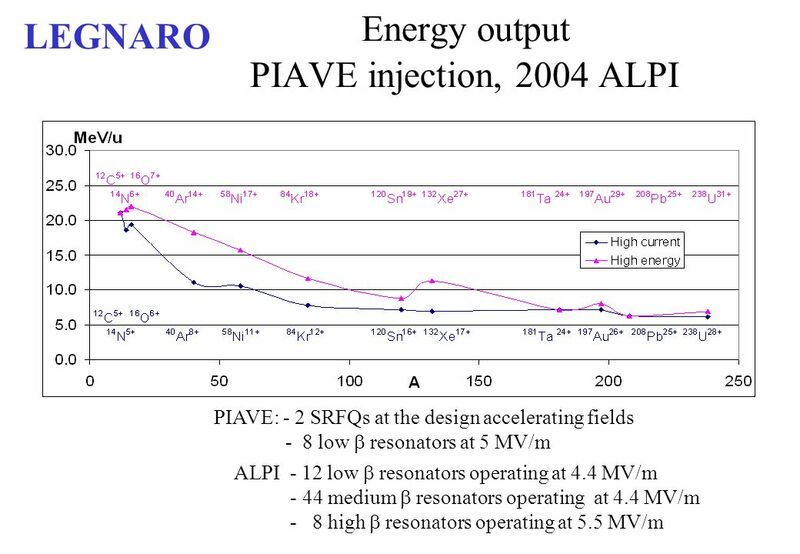 13 Present authorization limits -For ions from Si to Pb: E < 20 MeV/u, I < -30 pnA on target -For ions from C to Al : E< 26 MeV/u, I<2 pnA on target LEGNARO Future: With ion sources delivering 5 mA for typical beams, the 100pnA Intensity will be achieved for most of the accelerated ions! 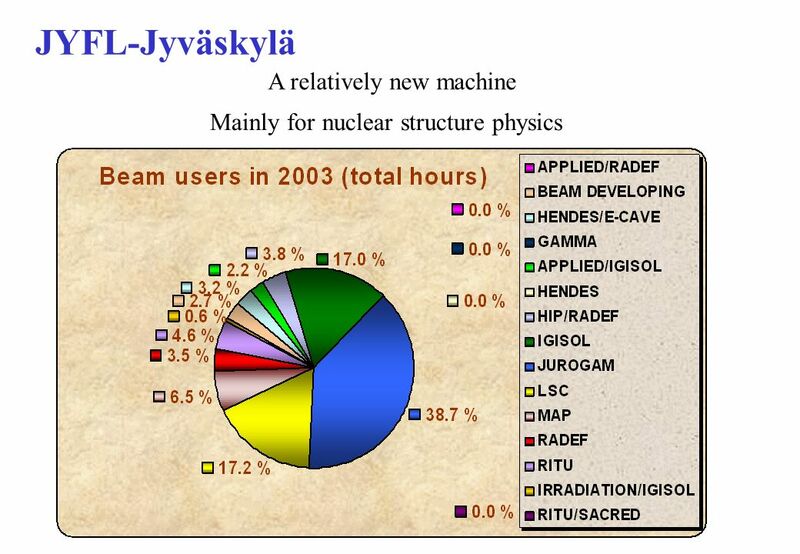 23 Next ECOS meeting will be held in Jyvaskyla on the 28 February and 1 of March 2005. 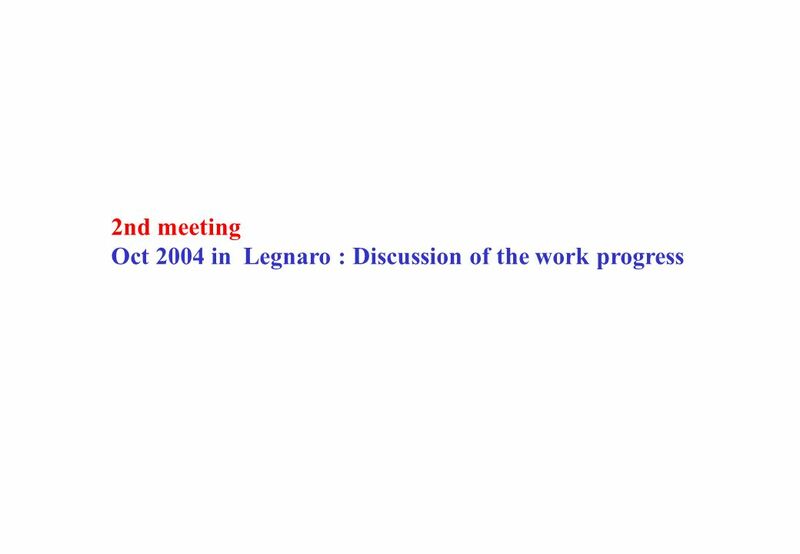 Discussion of conclusions and recommendations A written report will be hopefully ready for the next NuPECC meeting ( March in Debrecen)! 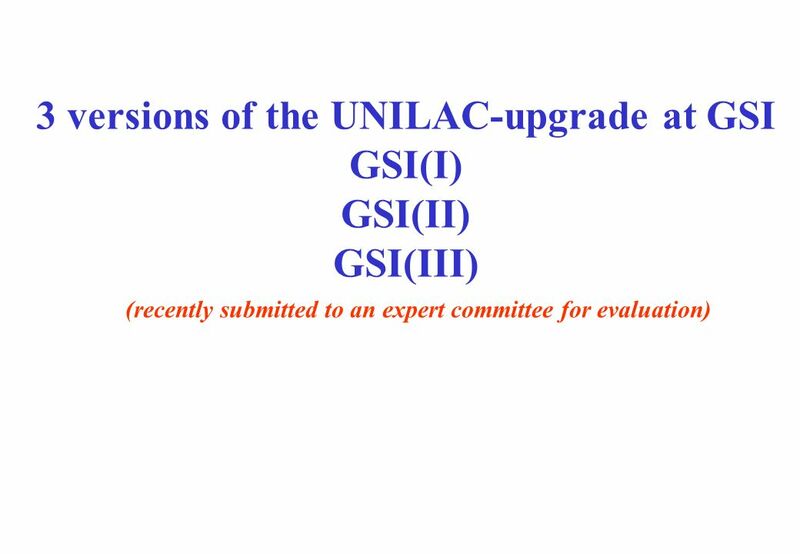 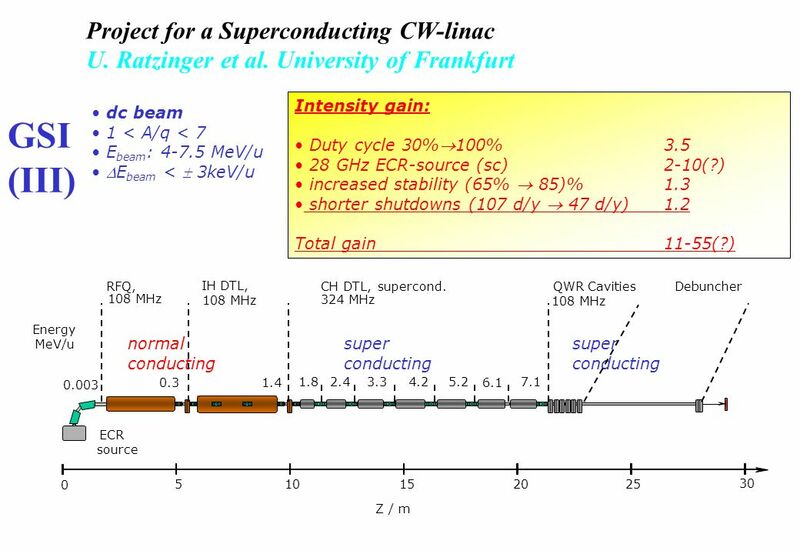 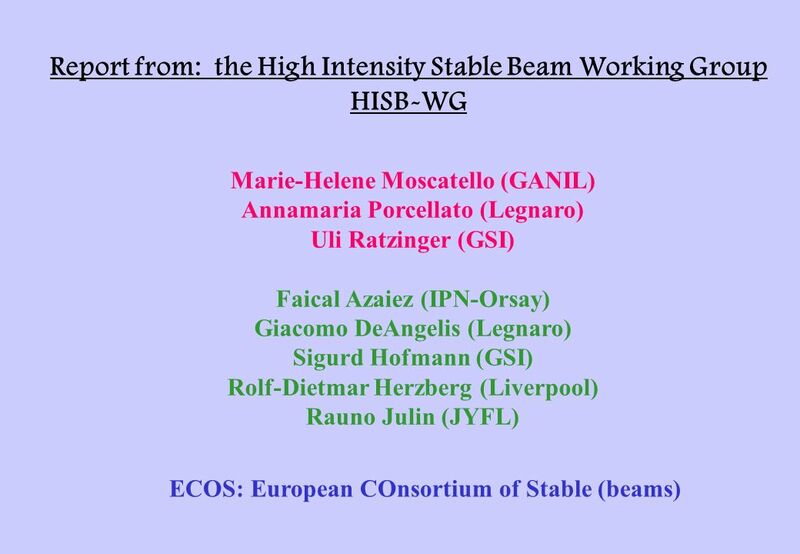 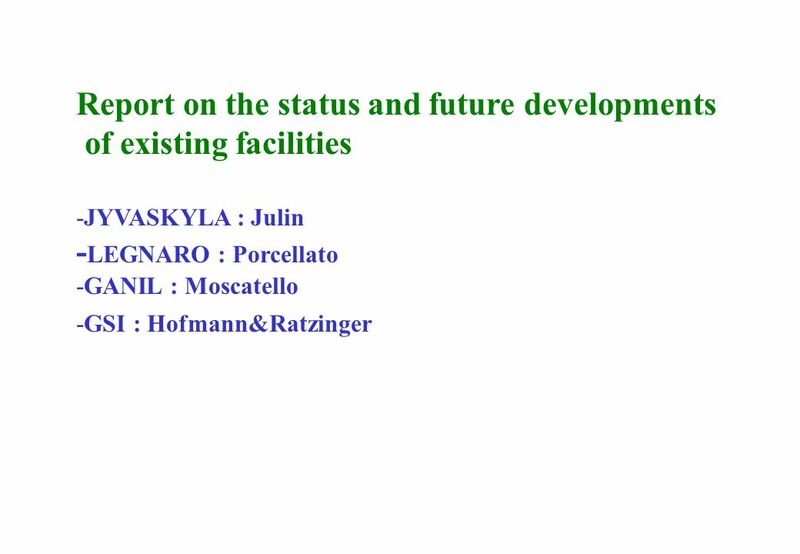 Download ppt "Report from: the High Intensity Stable Beam Working Group HISB-WG Marie-Helene Moscatello (GANIL) Annamaria Porcellato (Legnaro) Uli Ratzinger (GSI) Faical." 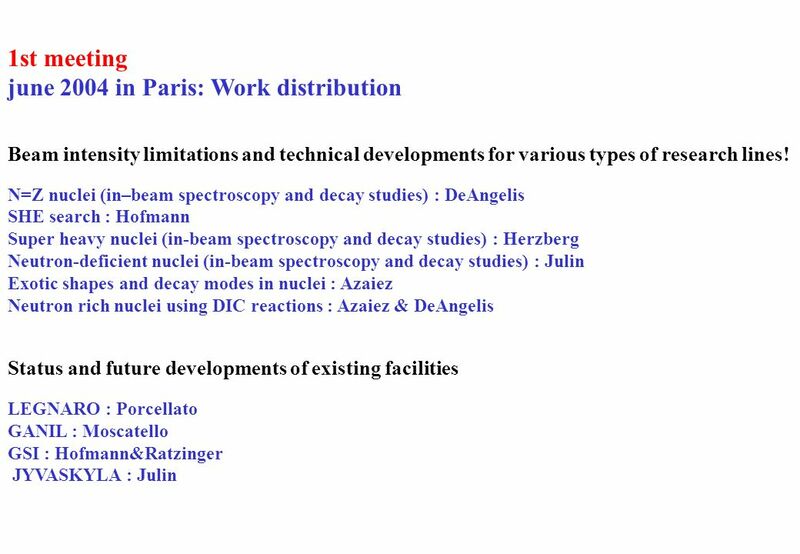 Paris, November 2004 M. Lewitowicz NuPECC meeting Physics case of SPIRAL 2 and EURISOL SPIRAL2 and EURISOL facilities Available Beams Physics Case Conclusions. 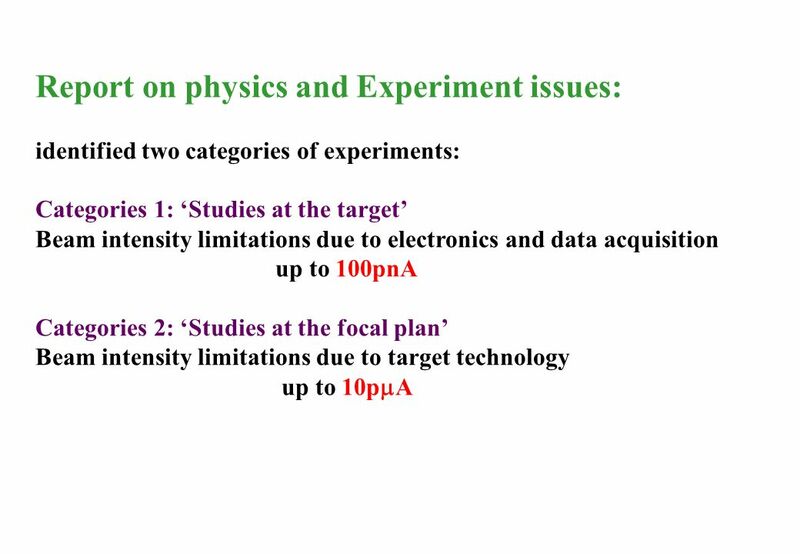 F. Azaiez (IPN-Orsay) The European Collaboration for Stable Ion Beams – ECOS Pushing the limits with high intensity stable beams. 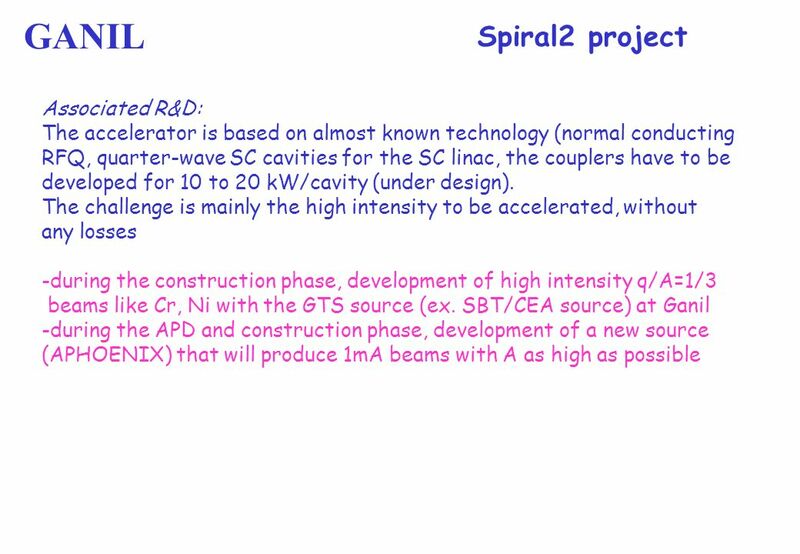 Future prospects and needs for nuclear structure studies with higher intensity stable beams F. Azaiez (IPN-Orsay) NUPECC Meeting – Frascati ( december. 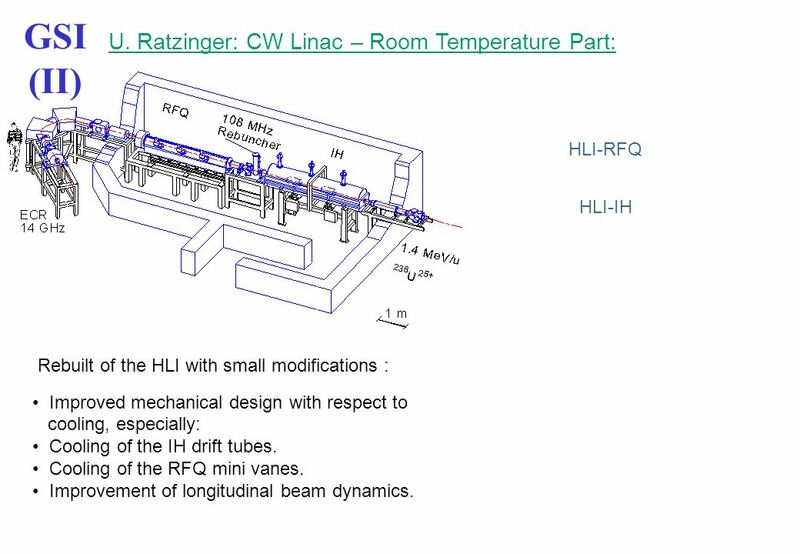 Laboratoire Commun CEA/DSM-CNRS/IN2P3 Orsay June 4 th 2004 M-H MoscatelloHigh Intensity Stable Beams HIGH INTENSITY STABLE BEAMS -Available beams at GANIL. 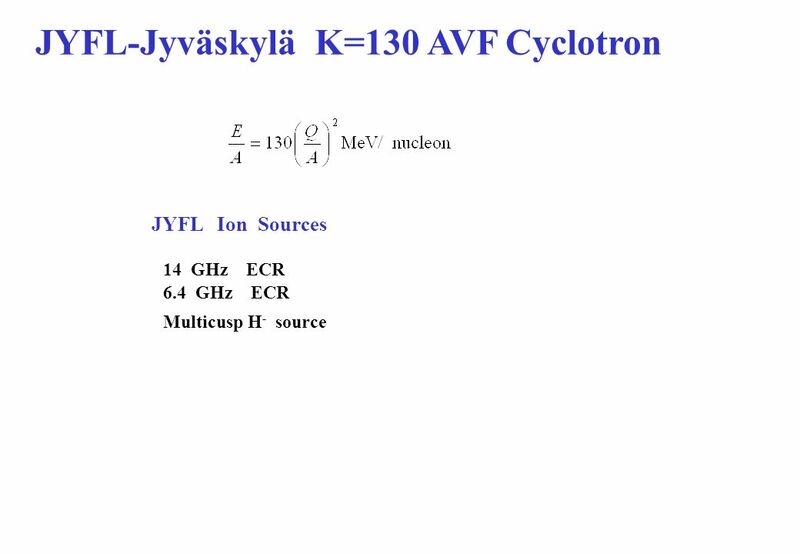 JYFL-Jyväskylä K=130 AVF Cyclotron. 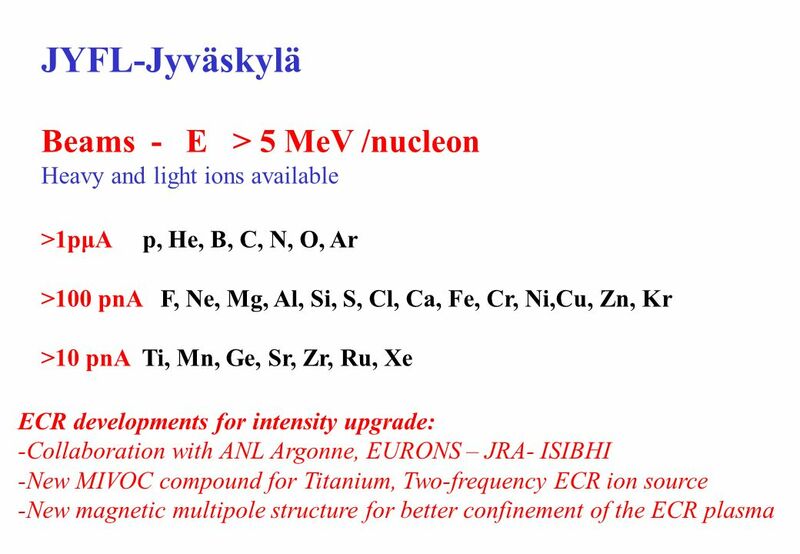 JYFL Ion Sources 6.4 GHz ECR 14 GHz ECR Multicusp H - source. 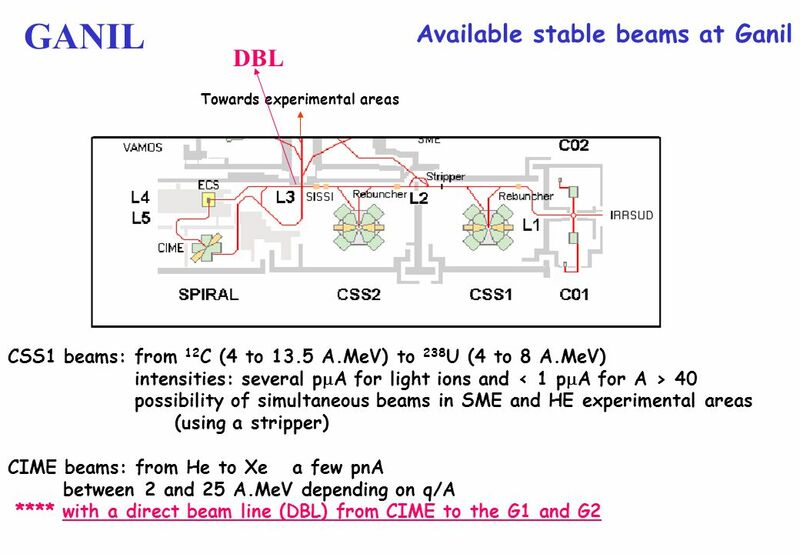 Exploring the drip lines: where are the proton and neutron drip lines exotic decay modes: - two-proton radioactivity -  -delayed multi-particle emission. 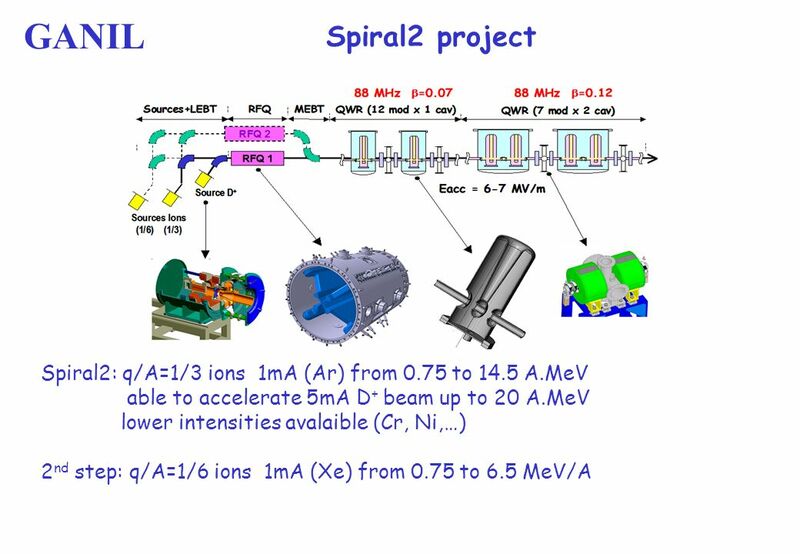 4/29/20151Cosenors - BentleyOverview Physics of Proton-rich Nuclei in the UK Mike Bentley (Univ. 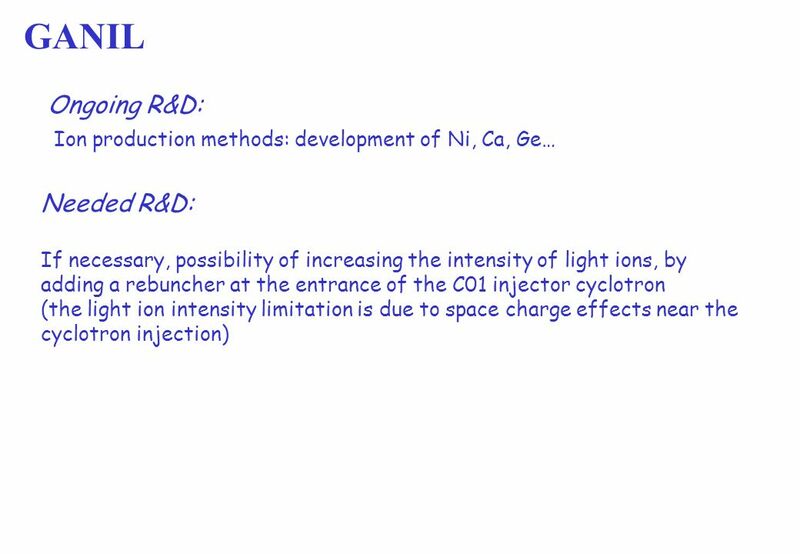 of York, UK) Physics of Proton-rich Nuclei in the UK Mike.